One of my favorite Batman stories of all time is an oft-forgotten tale called "The Nobody" from Shadow of the Bat #13. 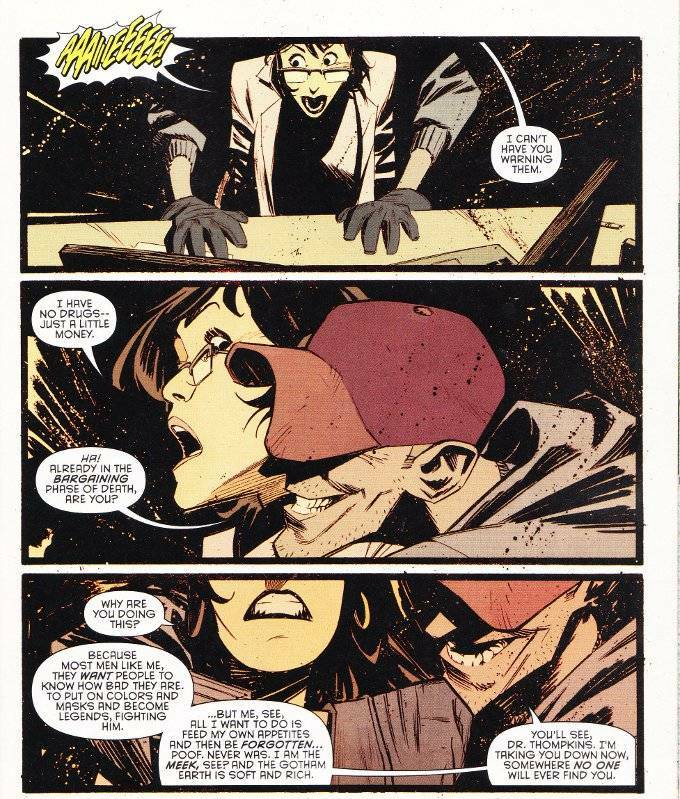 The story in this months's issue of Batman - titled "The Meek" - reminded me of that story, despite there being no direct links between them nor any common plot points. The only real common thread between them is that both stories showcase Batman's concern for even the lowest members of society and how Bruce Wayne is truly a modern-day knight. The plot here concerns a serial killer who targets the homeless. The twist here is that unlike the vast majority of Gotham City's murderous madmen, this killer wishes to be as anonymous and unknown as the people he kills. This adds a horrific aspect to the story not found in most modern Batman stories and this too reminds me of the old Shadow of the Bat series from the 1990s. It is to the credit of co-plotters Scott Snyder and Gerry Duggan that they are able to make so mundane a story work within the context of Batman's world. Not because his world cannot abide such horror but because the idea of a mad killer working without a gimmick in Gotham City is a surprisingly novel one. The artwork by Matteo Scalera also reminds me of the gothic-horror based Batman comics of yesteryear. 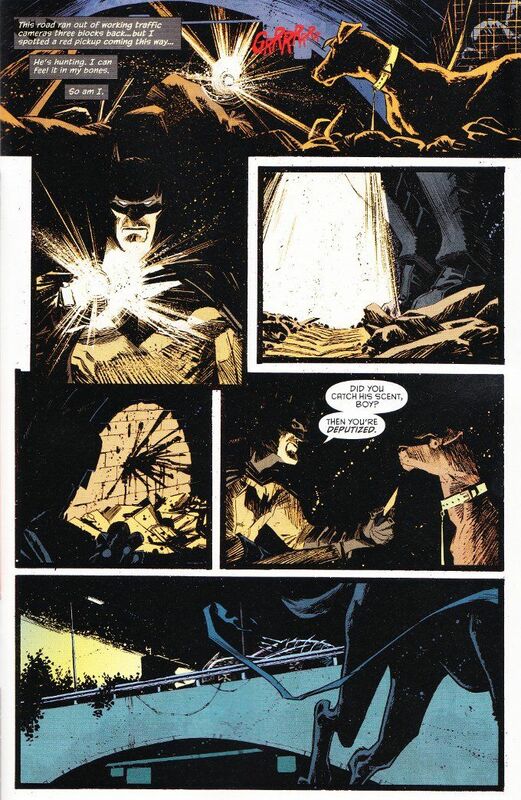 Scalera's style is exaggerated without seeming cartoonish and the inks are used to great effect, particularly in the scenes with Batman exploring crime scenes. Colorist Lee Loughridge also deserves praise for a uniquely limited palette that makes use of muted blues, yellows, oranges and grays to subtly suggest sudden intensity and mundane ennui in equal measure.